Donnie Tinsley is the owner and founder of Tinsley Family Martial Arts. He is Gracie Jiu-jitsu black belt under 8th Degree Red/White belt Master Luiz Palhares. 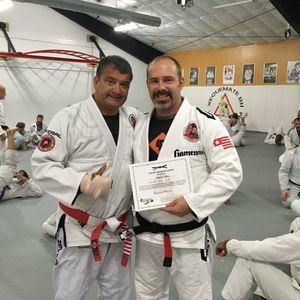 He has dedicated his life to teaching martial arts in the Albemarle Area. Click here for a complete list of instructor credentials, awards, and accomplishments. Amy Tinsley is the owner and senior instructor at the Tinsley Family Martial Arts Hertford location. Mrs. Amy holds the rank of 3rd Dan Taekwondo (Kukkiwon) and also Senior Instructor in Muay Thai. She is a National Champion and currently teaches Dance and Youth Muay Thai in Hertford, NC. 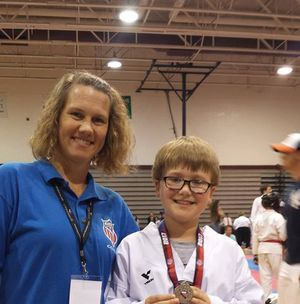 Morgan Lilly is currently a 3rd Dan Taekwondo Black Belt (Kukkiwon) and the Elizabeth City location's Program Director for Taekwondo. 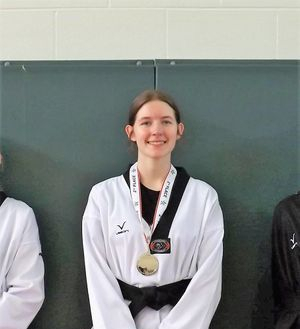 She is an established black belt with many years experience, multiple time AAU State Champion, Regional Champion, and National Level Competitor.